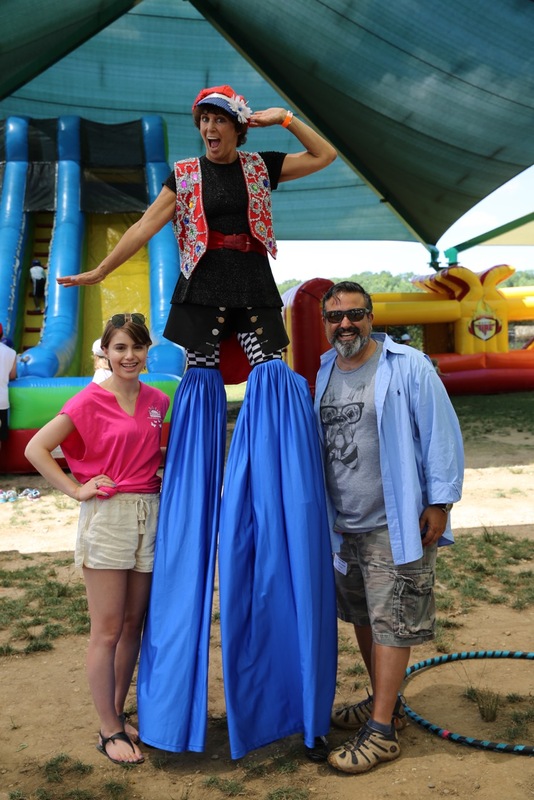 Americana Manhasset was proud to return as a leading sponsor of Sunrise Day Camp’s 10th annual summer carnival in July. Sunrise Day Camp on Long Island is the world’s first full-summer day for children with cancer and their siblings, provided completely free of charge. Our Americana Manhasset team had a blast with the kids, joined by “Blue Bloods” star Sami Gayle, who happily volunteered her time. Kids played traditional carnival games like pop-a-shot and ring toss, and of course, everyone was a winner! With cotton candy, snow cones and a DJ on hand, there was no other option than to have a ton of fun. 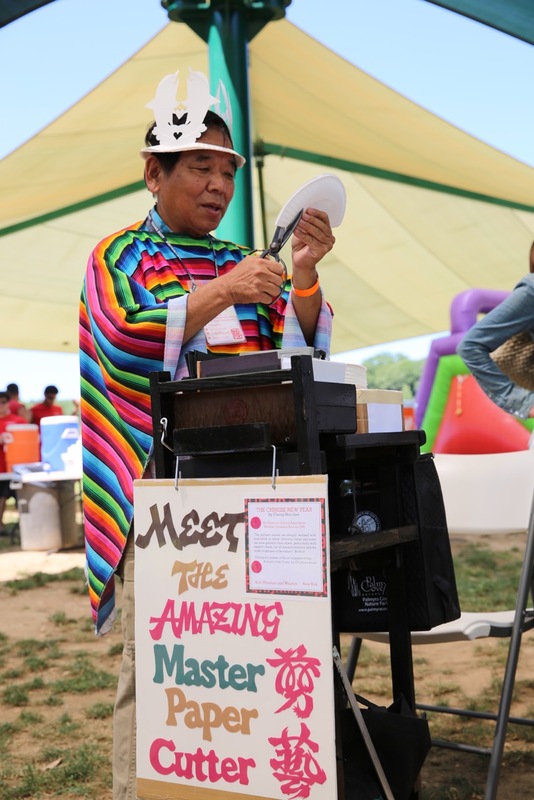 The "Amazing Master Paper Cutter" fashioned fun paper plate hats while campers raced down the giant blow up slide and volunteers applied glitter tattoos and face paint. Campers took extra joy in getting to soak their counselors at the dunk tank! Actress Sami Gayle even took her turn in the tank. Providing memorable summers since 2006 for children ages 3 ½ to 16, Sunrise Day Camps bring the simple pleasures of childhood back to children struggling with cancer, changing months of loneliness and isolation into summers filled with sunshine, laughter and happiness. Since Sunrise is a day camp, it does all this while allowing children to continue their medical treatment and enjoy the comfort and safety of their own homes at night. Today, Sunrise Day Camps are located in Long Island and in Pearl River, New York, and in Israel, and are affiliated with 22 renowned hospitals and medical centers. Sunrise Sundays and Fun-days offer children exciting activities and events when school is not in session; Sunrise on Wheels is a one-of-a-kind program that provides hours of Sunrise-fun to children undergoing treatment in pediatric oncology units of participating hospitals. Sunrise Day Camp-Long island is a proud member of the Sunrise Association, whose mission is to bring bac the joys of childhood to children with cancer and their siblings, world-wide, throughout the creation of Sunrise Day Camps, Year-Round Programs and In-Hospital Recreational Activities. Sunrise Day Camp-Long Island is a program of the Friedberg JCC, a beneficiary agency of UJA-Federation of New York. Americana Manhasset is a premier collection of over 60 fine shops, including Hermès, Dior, Prada, Louis Vuitton, Gucci, Loro Piana, Chanel, Ralph Lauren, Ermenegildo Zegna, Cartier, Bottega Veneta, Hirshleifers, London Jewelers and more, all within a unique outdoor environment designed by renowned architect Peter Marino and landscape designer Oehme van Sweden. Americana Manhasset offers a complimentary Personal Shopping Service, a remarkable luxury fashion and gift resource. Located on Long Island’s beautiful North Shore, Americana Manhasset is 20 miles from Manhattan and 50 miles from the Hamptons. Follow Americana Manhasset on Instagram, Twitter, and YouTube, like our Facebook page and check out our Blog!